CONCORD - A Somersworth man pleaded guilty today in federal court to being a felon in possession of firearms. 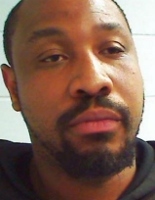 Damon Austin, 36, was involved in an April 14 altercation with another individual in Somersworth in which Austin threatened the individual with a firearm, according to court documents and statements made in court. Soon after the altercation, Somersworth Police arrested Austin while he was in possession of the firearm. Police subsequently obtained a warrant to search Austin's residence, which resulted in the seizure of six additional firearms, as well as cocaine, crack cocaine, and marijuana. Austin, a previously convicted felon, is legally prohibited from possessing firearms. He is scheduled to be sentenced on May 14.